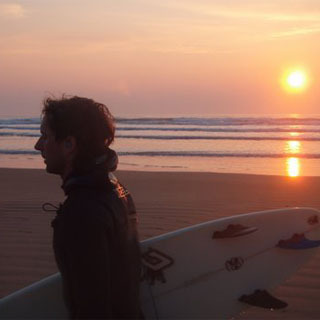 Enjoy a fun filled 2 night surfing experience in the West of Ireland with SurfnTurf. The instructor will be in the water with you giving advice and tips on improving your surfing skills. This experience lasts approx. 3 hours with 1.5 hours of water time. Transport to the beach and surf equipment is provided. Minimum participant age is 8 years old accompanied by an adult. No previous surfing experience is required. This voucher is valid for one person and includes 2 night B&B with a surfing lesson. This experience is weather dependent. Accommodation is based on dorm accommodation, which can be upgraded at extra cost. 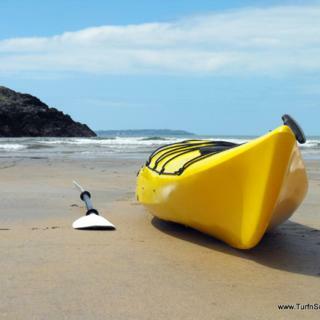 TurfnSurf is a family run business located in Bundoran and Strandhill. 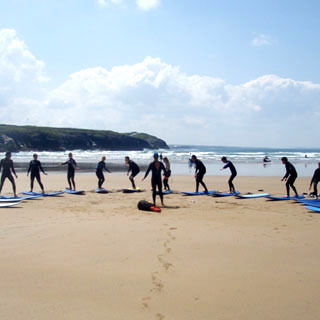 Surfing lessons operate during daylight hours all year round. Advance booking on AllGifts.ie is required. If coming from Sligo you will reach a roundabout on the outskirts of Bundoran. Here you go straight ahead rather than up the by pass. As you travel into town you will see the Allingham hotel on your right. TurfnSurf is located in a row of Picturesque Victorian houses that extends towards the protestant church in the centre of town. Coming off the bypass from Ballyshannon take a right turn at the first roundabout and a left at the second roundabout. Drive straight through town until you are crossing the bridge in the centre of the town and you can see the ocean on your right. Turfnsurf is just after the protestant church on your left. Comming from Dublin, it is currently quicker to drive by the N4 through Sligo town as the N4 road is a motorway for much longer. However you do have to pay a toll on this road. The N3 is quicker when there is no traffic but towns like Navan and Dunshaughlin will hold you up. If you are traveling the N3 take the second turn off for Florencecourt about 10 km the Dublin side of Enniskillen. It is much quicker to get to Bundoran by Florencecourt - Belcoo - Garrison than direct through Enniskillen and the windy road along Lough Erne. There are two bus stops in Bundoran. The West end bus stop is on the Sligo side of town beside the children's play park. Then it is a short 200 meter walk further into town to TurfnSurf which will be on the right hand side just after the Allingham hotel. The East end bus stop is just out side Goodies café and again you walk towards the centre of town for 700 meters down the main street. Coming from the East end bus stop you will cross the bridge over the river and past Maddens Ould Bridge Bar which will then bring you to TurfnSurf on your left hand side. In general it is better to get off on the Sligo side of town as it is a shorter walk. Just ask the driver for the "west end" bus stop. If you fail to make a connection from Ballyshannon please call us and one of our mini buses will go to pick you up if it is available. Located in the heart of Strandhill village, only 10 minutes from Sligo town centre, you are only a turn off the N4 and you are in Strandhill, in our surf school and out on the waves. 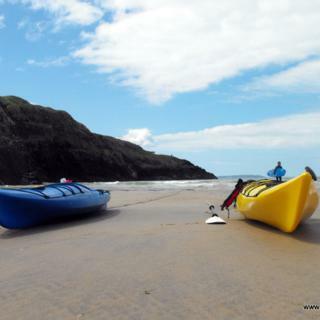 Join us for surf, kayak and blow karting lessons and adventures in beautiful Donegal and Sligo. 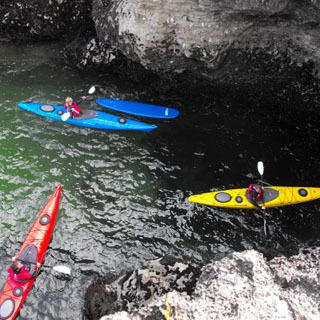 Learn something new and exciting, experience the great outdoors and have good fun too! Killian and Mary thought up the idea of TurfnSurf Lodge & Surf School while trundling around South Africa in a little white car called Chico. However, South Africa was only the start of an 18 month trip through Australia, living in New Zealand for a year and then paying a visit to South America for three months before returning home to the Emerald Isle. We kept the idea with us all the way though and so in August 2006 we moved into Bayview Terrace and started a labour of love; turning the building into TurfnSurf Lodge & Surf School. We were joined by Patrick (better known as Po) who runs the Surf School with Killian. Killian and Po are home-grown Bundoran lads who have returned to the town they love to live, work & play in. Mary brings a bit of east coast sensibilities to the mix, hailing from Meath but home is now the west coast since marrying Killian. Our philosophy at TurfnSurf Lodge & Surf School is to provide good quality, affordable, clean and comfy accommodation with a splash of good humour. But we want to give our customers more than a bed for the night so we can introduce you to the great sport of surfing, point you in the right direction of some excellent walks and hikes or hire you a bike so you can explore yourself. 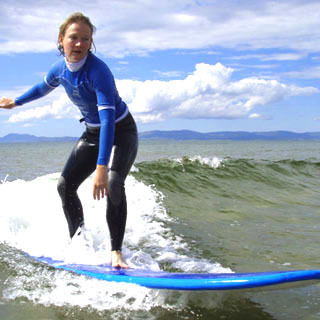 In 2009, TurfnSurf opened theur 2nd Surf School in the heart of Strandhill village, only 10 minutes from Sligo town centre. 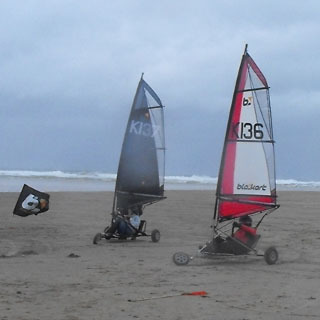 Now you are only a turn off the N4 and you are in Strandhill, in our surf school and out on the waves. How it Works: Use this gift voucher on AllGifts.ie to make a booking with TurfnSurf. Or you can swap this voucher for any other gift or voucher listed on AllGifts.ie. Simply follow the instructions at the bottom of your voucher.